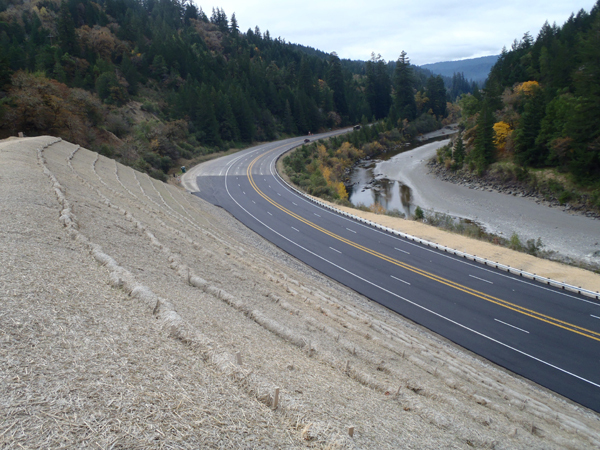 The slide at 101 – Dean Creek is now open to four lanes. Eureka – Caltrans is pleased to announce that traffic has been restored to its original pre-slide four lane configuration at the Dean Creek slide location on Route 101 in Humboldt County approximately 60 miles south of Eureka. This entry was posted in Roads and tagged 101, CalTrans, photos, slide. Bookmark the permalink.